They aren’t professionally trained, but museum staff are still putting on a homemade play to promote cultural preservation. SHANGHAI — For 15 years, Beijing’s Forbidden City had no treasures on display. Instead, the exhibits travelled the country in an epic journey encompassing seven locations, thousands of artifacts, and a loyal few willing to be separated from their families for years, just to preserve China’s cultural history. Palace Museum staff believe they can communicate that grand adventure in a mere hour. Wang Ge, the 40-year-old deputy director of the museum’s exhibition department, has been fascinated by this slice of forgotten history since he learned of it during his research. 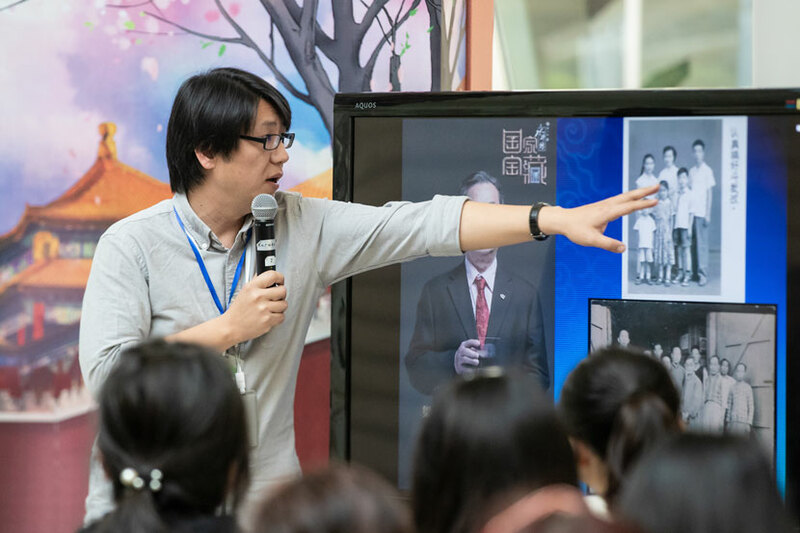 He decided to write a play titled “Treasure the Treasures” to help educate younger Palace Museum staff members about the lengths their forebears went to in order to protect China’s heritage. As the Palace Museum rolls out VR experiences and TV shows in a bid to make history more accessible, Wang hopes that his production can be expanded to raise awareness about cultural protection. Back in 1933, amid rising concerns about the Japanese armies at the northern border, the then-Kuomintang government decided to move artifacts from the Palace Museum to Shanghai. It was a controversial decision: The public suspected that the government was trying to sell the artifacts. Four years later, the country was hit by the Second Sino-Japanese War, which was then followed by World War II. The audience can view the decades-long history of the Palace Museum in only an hour. Passionate Palace Museum staff and army troops helped pack over 13,400 wooden boxes with paintings, calligraphy, porcelain, bronze, copperware, jade, and historical documents. The boxes were loaded onto ox carts, trucks, and trains, and packed off to Shanghai. After three years, it all headed to Nanjing in eastern Jiangsu province. From there, the treasures were split in half; some went to southwestern Sichuan province, others to southwestern Guizhou province. 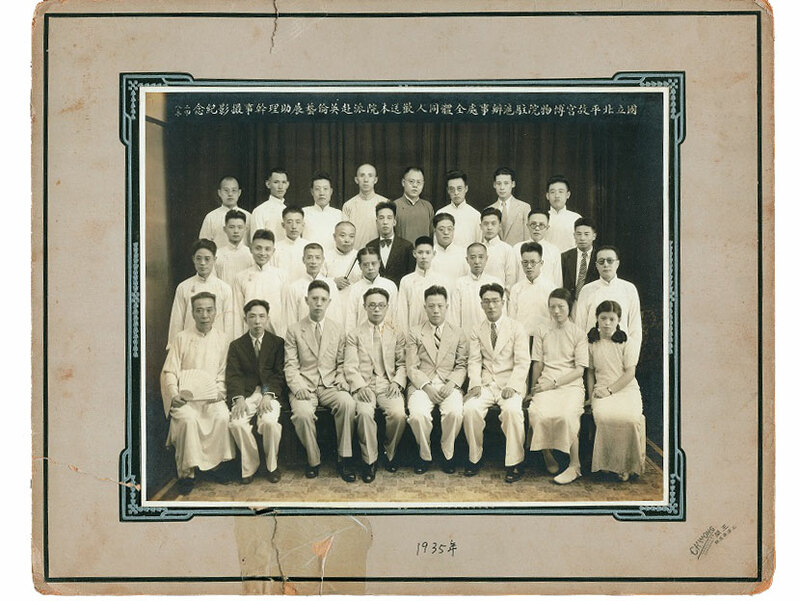 The treasures were reunited in Chongqing, before heading back to Nanjing, and finally to Taiwan in 1948. Despite the long journey, most arrived intact. Wang began writing his play in 2009 and recruited fellow Palace Museum staffers to help perform it, starting in 2012. Since then, Wang and his troupe — who go by the name “Begonia Drama Society” — have intermittently performed the play, even staging it in Nanjing and Xiamen, where the Palace Museum has an affiliated museum and which is only 300 kilometers away from Taiwan. 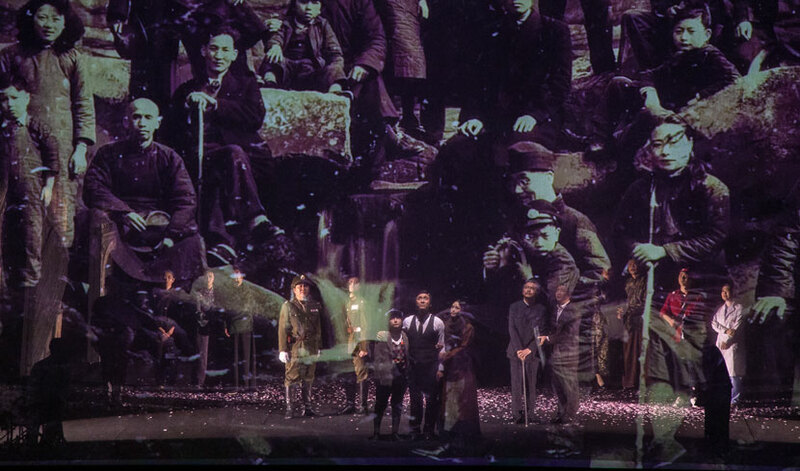 Audiences have praised the play for the troupe’s use of authentic black-and-white photos, although some have been less impressed by the amateur acting and the somewhat saccharine script. 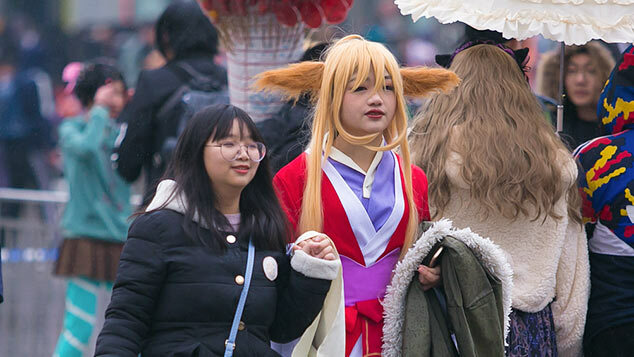 It was only in November this year that the production finally came to Shanghai, the city that been the first stop in the original artifacts’ winding journey. 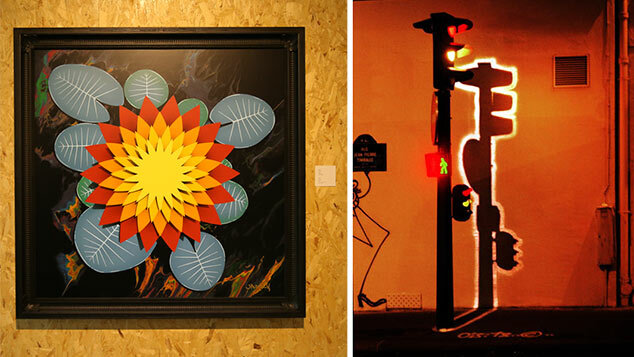 Although the characters in Wang’s work are fictional, they’re based on real people. The play’s hero, Gu Zichen, is based on the experiences of Na Zhiliang and Zhuang Shangyan, two prominent scholars in the original Palace Museum. 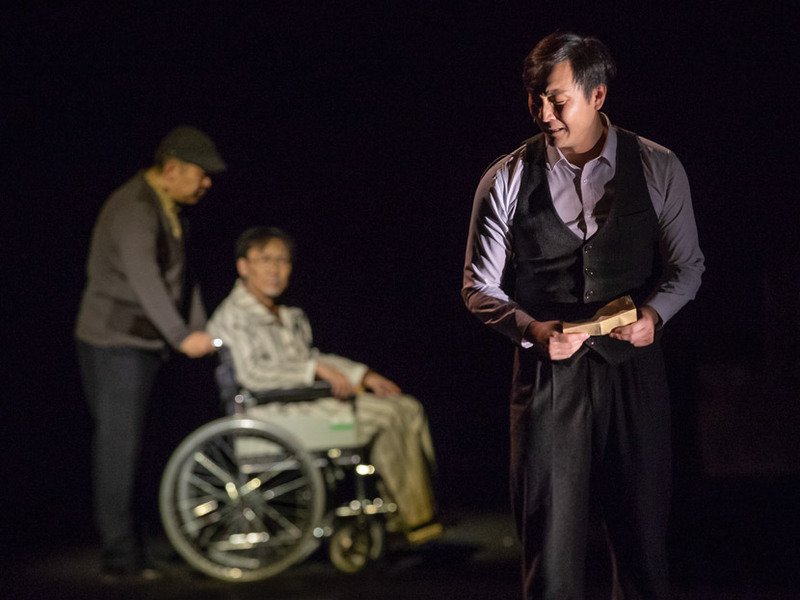 In the play, Gu is so devoted to the artifacts that he leaves his pregnant wife to travel with them. He discovers that his father has passed away after he reaches Sichuan, and when he makes it back to Nanjing, he decides to help the artifacts on to Taiwan during the Kuomintang’s retreat, rather than return to his family in Beijing. Antiques have born witness to history and are proof of our national identity. That’s a principle that Wang can relate to. He’s worked for the Palace Museum since 2000 and identifies as a gugong ren, literally “person of the Palace Museum.” The rest of his troupe are all gugong ren, too — though they have the support of Palace Museum director Shan Jixiang, the troupe is still an after-work club. They rehearse in their downtime, and whenever there’s a performance, the crew must take a few days off of their regular work with exhibitions, artifacts, or security. Before the troupe’s last performance during Shanghai International Arts Festival in Shanghai in early November, Wang Ge talked to Sixth Tone about his creative process, the play’s goal, and how theater can help the Palace Museum’s cultural endeavors. The interview has been edited for brevity and clarity. Sixth Tone: What inspired you to create this play? Wang Ge: In 2009, the museum organized an arts festival for young people. We thought about staging a drama, and I was assigned to write the script. Then, I worked at the exhibition department and did thorough research on the 80-year history of the museum. To me, the cultural relics’ transfer to the south was a key event: It’s so meaningful and touching, but not very well known. The first idea that came to mind was to write a story about it. Sixth Tone: “Treasure the Treasures” is such a major undertaking, but crew members are all still part-time. Is the Palace Museum considering setting up an official theater unit? Wang Ge: The stage play now takes up a large part of the publicity budget, so it would be great if we had designated personnel. The museum hasn’t thought about it. For me, the future is pretty hard to predict. There are challenges every time I try to bring the whole drama together. Many cities have invited us to perform, but it’s impossible for us to tour [all the cities in China]. [Palace Museum director Shan Jixiang] has considered letting us perform in Hong Kong’s new Palace Museum and even overseas. Artifact relocation is a universal topic. For example, cultural relics from the National Museum of Afghanistan have been displayed in China’s museums for more than a year to avoid damage from war. That’s also a kind of de facto relocation. Sixth Tone: In recent years, the Palace Museum’s public image has been transforming. For instance, the public can learn about life inside the palace through the TV documentary “Masters in Forbidden City.” How is your play helping the Palace Museum? Wang Ge: Every time we do our curtain call, we introduce ourselves and our jobs at the museum. That way, the audience can get a sense of what young people inside the palace are like. The biggest effect of our play is not simply publicizing the pains of our predecessors, but also letting our audiences know what antiques mean to us, the gugong ren [people of the Palace Museum]. When they watch the play, they can empathize with us. In the past, misguided TV shows tried to tell audiences that antiques only had monetary value. In our minds, antiques have borne witness to history and are proof of our national identity. That’s why our predecessors sacrificed their lives [on the journey] and left their families behind to protect the pieces. 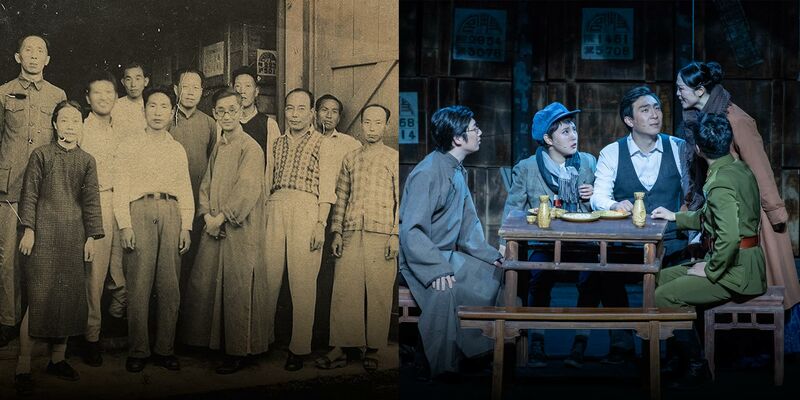 Because the relocation journey covered half the country and passed through many cities, the play can also help bring the Palace Museum closer to people from all over China. It can remind them of their link to the museum and the antiques. It’s also easier to take a play around the country than an entire exhibition.